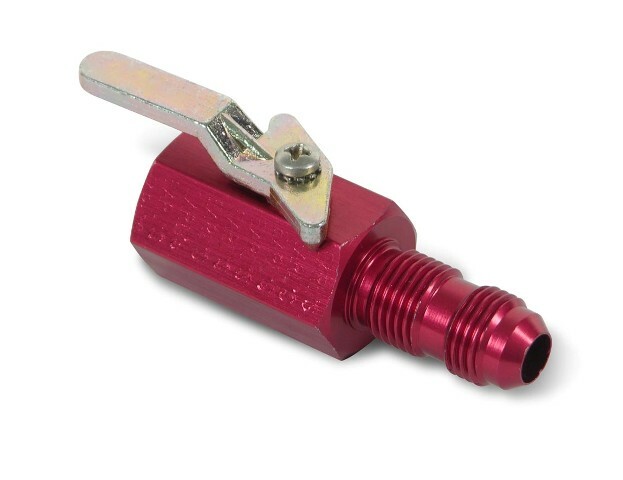 230502ERL 3/8 Fem -6 Red anodized alum Shut Off valve. Overall length of body 2-3/4". 230503ERL 3/8 Fem -8 Red anodized alum Shut Off valve. Overall length of body 2-3/4". 230505ERL 1/2 Fem -10 Red anodized alum Shut Off valve. Overall length of body 2-3/4". AT230502ERL 3/8 Fem -6 Shut Off Valve. Overall Length Of Body 2-3/4". Black Anodized. Aluminum. AT230503ERL 3/8 Fem -8 Shut Off Valve. Overall Length Of Body 2-3/4". Black Anodized. Aluminum. AT230505ERL 1/2 Fem -10 Shut Off Valve. Overall Length Of Body 2-3/4". Black Anodized. Aluminum. 230507ERL 1/2 NPT Brass Shut-off Valve. 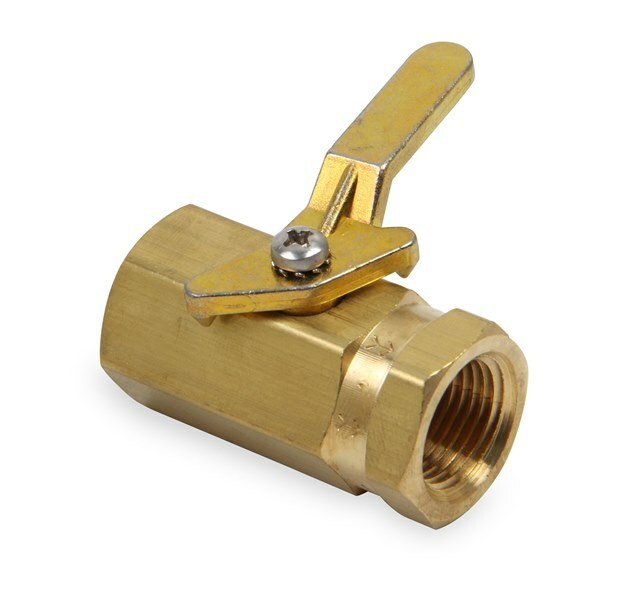 230509ERL 3/8 NPT Brass Shut Off Valve. 230501ERL 3/8 Fem 3/8 Fem Chrome plated brass Shut Off valve. Overall length of body 1-3/4". 230504ERL 1/2 Fem 1/2 Fem Chrome plated brass Fuel Shut Off Valve. Overall length of body 2-1/4". AN765-31 1/8 Lunkenheimer 1-Way Selector Valve. Brass. Earl’s Performance Plumbing Products at ANplumbing.com. We are the worlds first online supplier of Earls AN fittings, adapters, Swivel Seal, Ano-Tuff, stainless steel braided lines, PTFE lined braided, AN wrenches, AN port adapters, fuel filters, Aeroquip Air Conditioning Hoses, check valves, oil filters, oil block adapters, Earls oil coolers, Setrab oil coolers, gauge adapters, Turbo line kits, brake lines, brake hoses, Huge inventory of -3 -4 -6 -8 -10 -12 -16 -20 -24 fittings adapters & parts. 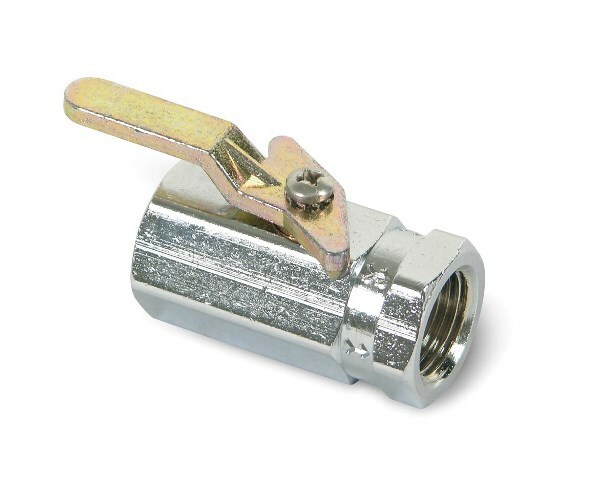 XRP, Aeroquip, and Goodridge hose ends and fittings also available now. Hours: Monday thru Friday 8:30 a.m. to 5:00 p.m. Pacific Saturday 9 a.m. to 1 p.m.
ANplumbing.com Copyright © 1999-2017 All Rights Reserved.